Open living and dining room flow through to kitchen with utility room beyond. Meet this unique artist's retreat in the center of Tacoma! You'll find a really nice flow from front door to back. While the living space is wide and open, it offers quiet corners both indoors and out. 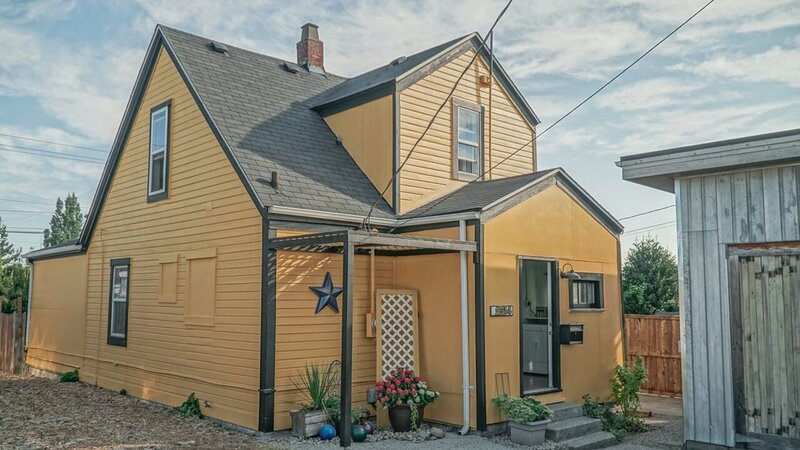 This 1890s home matches character and convenience. 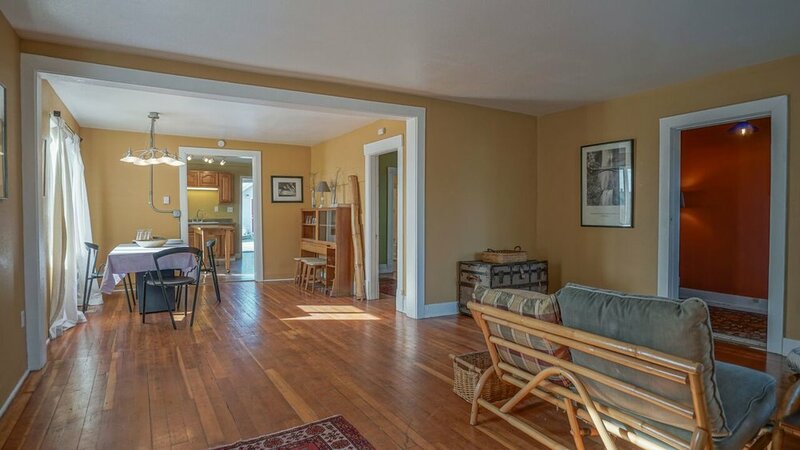 Beautiful features include Mt Rainier views from the kitchen and dining room, fir floors, generous windows, and old school charm. Master bedroom is on the main floor with 2 bedrooms and a bonus room above. Outdoors, find a bamboo privacy hedge, mature pear tree, and room for gardens and entertaining. 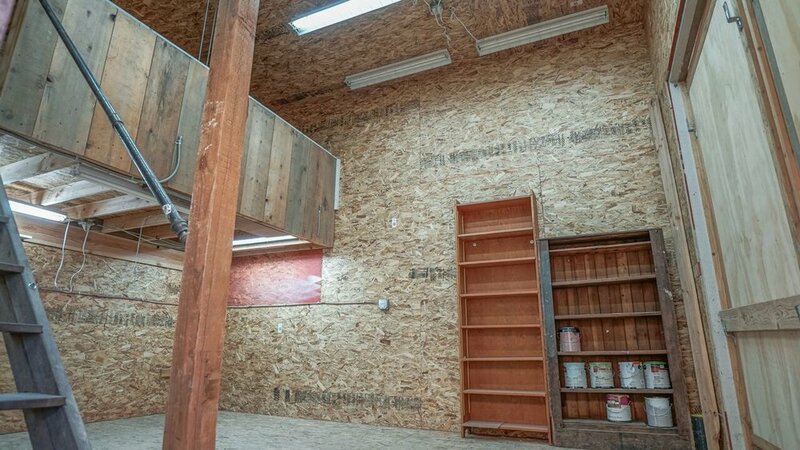 The versatile garage, complete with a loft, is perfect for projects or use as a studio. This place feels good. Space for two cars and entrance in the alley creates a cozy neighborhood vibe. Located in the heart of the city, close to the 6th Ave district and its diverse array of local Tacoma-grown businesses: Bluebeard and Valhalla Coffee Roasters, the famous Red Hot, High Voltage Records, Ice Cream Social, vintage clothing boutiques, and innumerable places to enjoy a good meal. Fir floors and large windows create a space that is warm and bright. 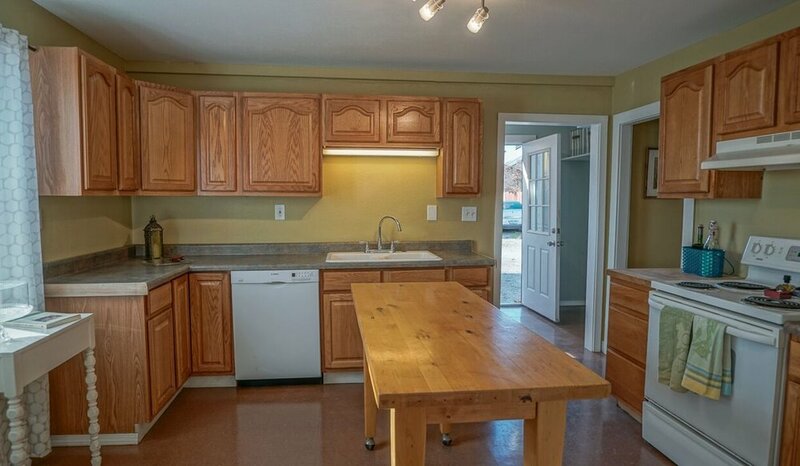 Spacious kitchen is convenient, clean, and ready to go. 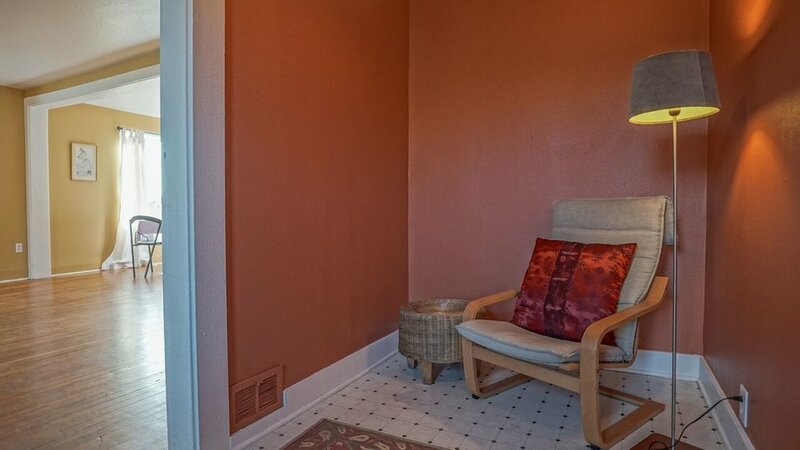 Quiet reading and writing nook. 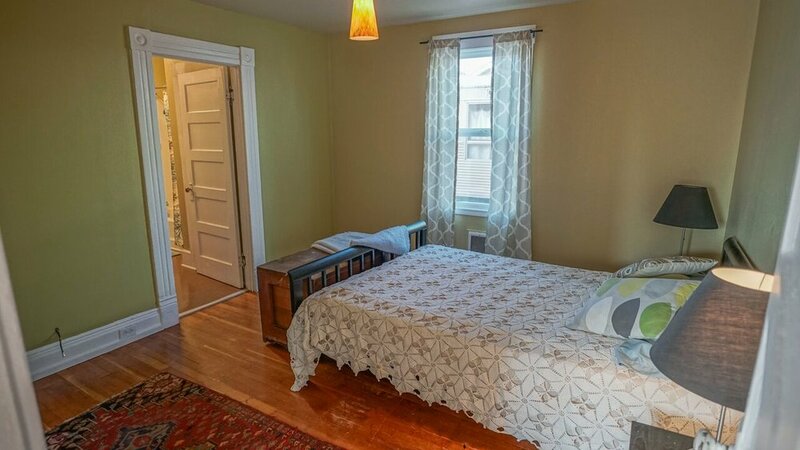 Main floor bedroom with direct access to bath. Wonderful, versatile garage with loft. Alley entrance with parking and garage access.